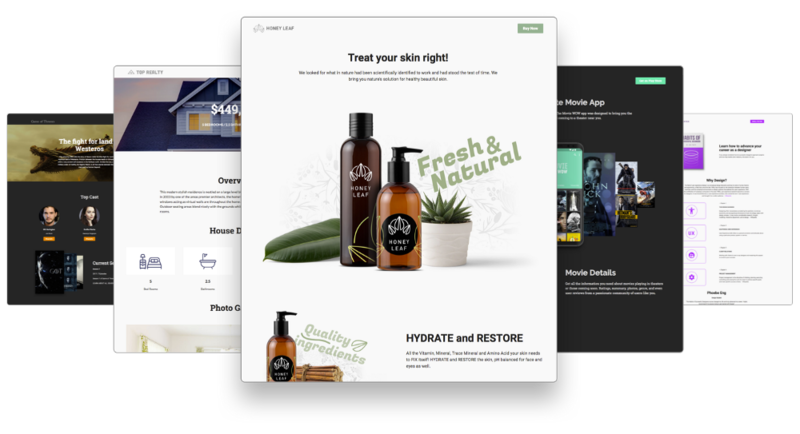 We rebuilt Flauntly from the ground up to work as a single page app, which means a new fluid and responsive experience without the constant page reloads! Informed by the insights from user testing, we refined Flauntly’s user interface to improve the user experience. We restructured the main editing interface and simplified the process for building landing pages. Our users love to load their landing pages with high quality images and graphics, some can be very large. We took a closer look at auto optimizing images to improve performance and page load time. How good is a marketing campaign if you can’t track it’s performance? Pro users will have the option to track their landing page performance by integrating with Google Analytics. Pro users will be able to use their own custom domains with Flauntly. The beta version of Flauntly is ready to use now! We’d love for you to try it and let us know what you think at www.flauntly.com. And we will keep you posted as we roll out additional features. Details regarding the different Flauntly plans will be coming soon. Stay tuned! We would like to thank all those who upvoted Flauntly on Product Hunt and especially those who took the time to truly test the product and provide us with valuable feedback to help improve it.